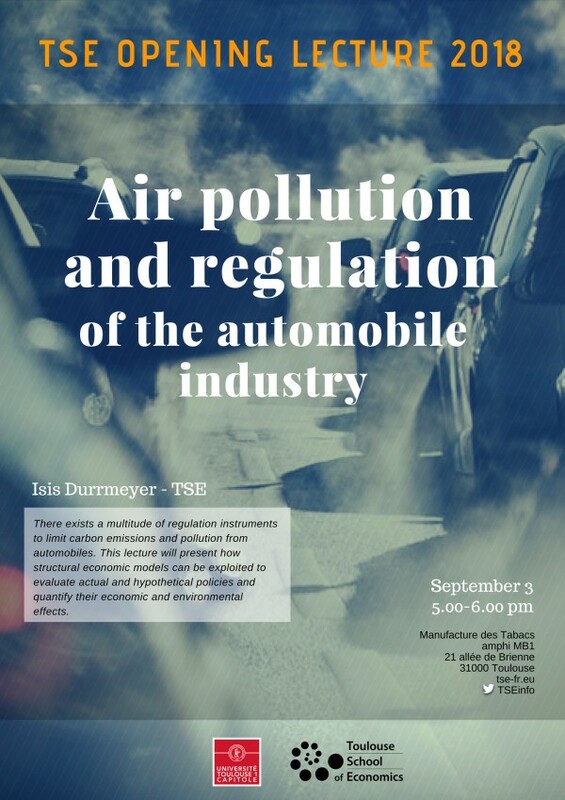 There exists a multitude of regulation instruments to limit carbon emissions and pollution from automobiles. In this talk, Isis Durrmeyer, Assistant Professor TSE will present how structural economic models can be exploited to evaluate actual and hypothetical policies and quantify their economic and environmental effects. This event will close the welcome day. All students are expected to attend the lecture.